A new monthly market is to take place for the first time on Sunday, April 2 on The Level, featuring local arts and crafts, vintage stalls, and hot and cold foods. 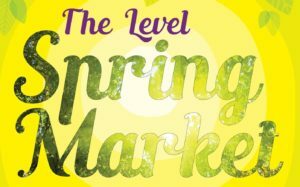 The Level Spring Market will be hosted on the eastern footpath of the park, adjacent to Lewes Road, and it’s hoped it will become a monthly favourite. Market organiser Mat Cook said: “The Level is a cross roads for many of the communities that surround it. I have been involved with community groups and events on the Level over the last decade and a regular market in the park will be a very positive thing for the area. To find out more information about the Level Spring Market or to apply as a trader click here. This looks dodgy as hell: a “company” with nothing but a WordPress website and associated email address, a mobile phone number, but no business address or details of who’s in charge, asking for 100% cash up front. Caveat emptor. More to the point how much are the Council receiving and who is paying clean up costs.